The Tucker 48 is a car that’ll forever live as an American legend, the extraordinary panache and guts shown by Preston Tucker in the post-war period is astonishing and the fact that he succeeded against the entrenched power of the Big 3 is reminiscent of the modern story of Elon Musk and Tesla. 50 Tucker 48s were built before the factory was shut down, the exact location and ownership of each of these cars is still known – in fact it’s publicly recorded on the model’s fantastically detailed Wikipedia page. From the outset, the Tucker 48 would be everything that the American people wanted, and everything that General Motors, Ford, and Chrysler had been too afraid to deliver – an advanced, modern automobile with significant safety improvements throughout. Preston Tucker had designed a staggering number of modern features including a water-cooled aluminium flat-6 rear-mounted engine, four-wheel disc brakes, four-wheel independent suspension, fuel injection, a padded dashboard and seat belts – this last feature was possibly the most important step forward in safety that would be seen until airbags and ABS came along decades later. Sadly, the Tucker Car Corporation would never really get a fair chance to shine. Underhanded tactics from the Big Three coupled with a highly questionable investigation by the FEC left Tucker bankrupt and almost in prison. Despite all of this, he managed to hang onto a skeleton crew and build 50 of his dream cars – cementing his place in American history and offering a roadmap forward in automotive safety that would be adopted by every major automaker in the world. The 1988 Francis Ford Coppola film Tucker: The Man and His Dream did a remarkable job of telling the full story, if you haven’t seen it, I highly recommend it. 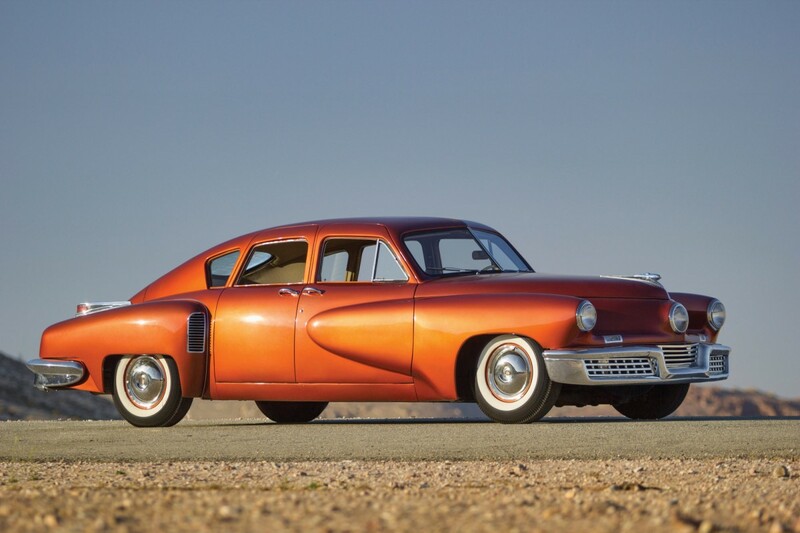 In the meantime, if you’d like to buy the Tucker 48 you see here, you’ll need to register for the Monterey Auction on the 15th of August 2014 and make sure you bring a fat wallet – Preston Tucker’s cars now sell for millions apiece.